Make this summer very interesting and educational for the whole family by bringing back to life what had transpired during the times of Katipunan and our hero Andres Bonifacio. 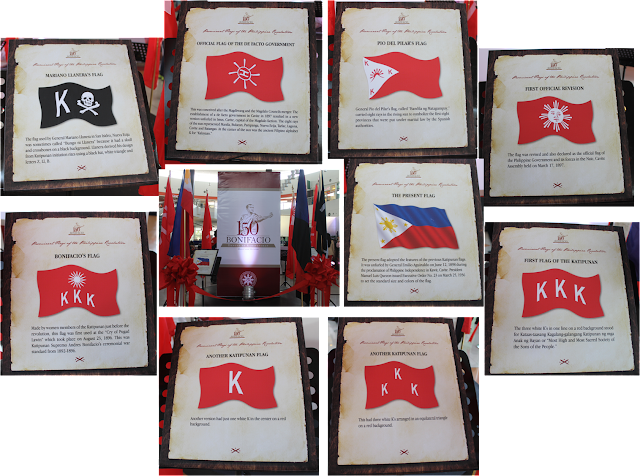 On November 30, 2013, the country will be celebrating the 150th birth anniversary of Andres Bonifacio. 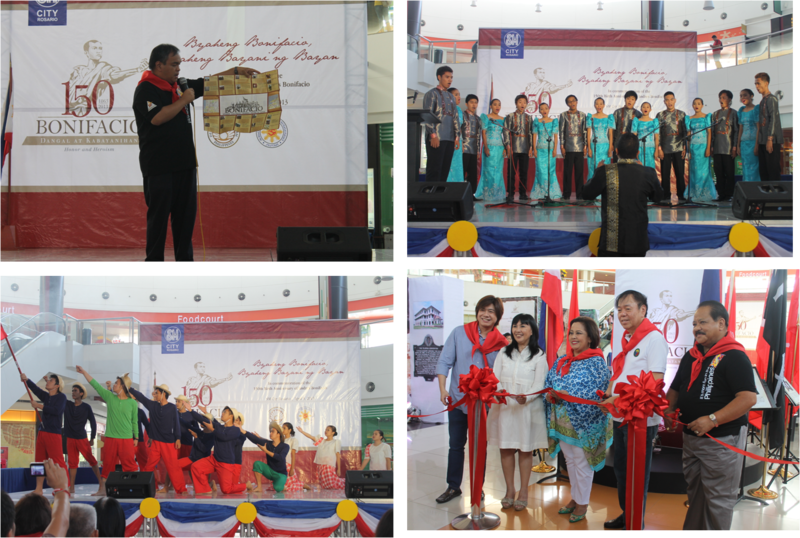 With this, The Department of Tourism and (DOT), in partnership with the National Historical Commission of the Philippines (NHCP), had launched “Biyaheng Bonifacio: Biyaheng Bayani ng Bayan,” a tourism heritage promotional campaign that seeks to heighten the interest of the public about the revolutionary hero. They are encouraging everyone of every gender, age and social standing to visit the sites where Bonifacio had stepped in and shared a part of his life to be written in Philippine history. Moreover, the project seeks to encourage the public, particularly the youth, to rediscover and revisit 16 sites in Luzon associated with the life of the working-class hero and promote domestic tourism at the same time. NHCP chair Maria Serena Diokno said the launching of the travel campaign is just one of the many activities lined up for the Bonifacio Sesquicentennial this year. As explained by Tourism Operation Officer II, Ryan Sebastian, everyone can take part by simply getting a hold of a pamphlet- Byaheng Bonifaciom Byaheng Bayani ng Bayan. You can get this at the office of the Department of Tourism at T.M. Kalaw or at the SM exhibit site, Rosario, Cavite. 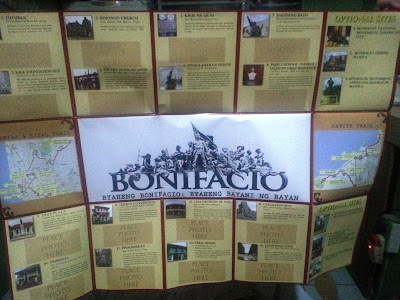 On the brochure are the list of the places where Bonifacio had stepped in to. All you need to do is post a picture of you on the sites listed. Once you have completed all the places on the brochure, a corresponding surprise gift awaits you. So far four pilgrims have been awarded with Byaheng Bonifacio: Byaheng Bayani ng Bayan certificate, you could be next! 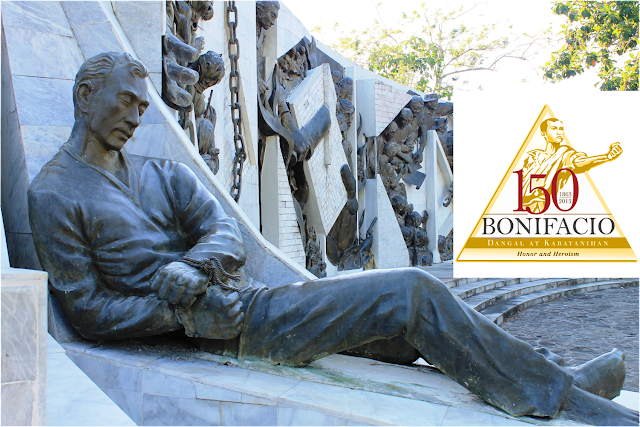 The Biyaheng Bonifacio itinerary includes sites in the heart of the metropolis like the Tutuban Mall and the Katipunan foundation site along C.M. Recto Avenue, Manila; Binondo Church in Manila; the Cry of Pugad Lawin in Bahay Toro, Quezon City; Krus na Ligas in Quezon City; Pinaglabanan Shrine in San Juan City; Hagdang Bato in Mandaluyong City; Pasig Catholic Church/Valentin Cruz Residence in Pasig City. Also included in the tour are Imus Plaza in Imus, Cavite; Tribunal in Noveleta, Cavite; Tejeros Convention in Rosario, Cavite; Pinagbarilan in Indang, Cavite; Casa Hacienda de Naic in Naic, Cavite; the trial house in Maragondon, Cavite; execution site also in Maragondon; and Pamitinan Cave in Rodriguez, Rizal. Thanks to DOT, I was given a chance to check the sites on the Cavite leg, with some foodie exploits on the side. On August 31, 1896, in the "bulwagan" of this building is where Gen. Pascual Alvarez of the Sangguniang Magdiwang killed the Guardia Civil Capt. Antonio Rebolledo. Under the order of Gen. Mariano Alvarez, the head of the group. Liutenant Francisco Naval Ayudante of the Guardia Civil was also killed, while the rest of the Guardia civil was imprisoned. This led to the revolution of Cavite. Landmark: You can park in front of the municipal hall of Noveleta. The way going to the Tribunal is through the market at the back of this building. Optional visit to SM Rosario, Cavite is recommended as well. An exhibition of some of Katipunan's memorabilia recognizing the significance of Gat Andres Bonifacio in awakening the revolution against the Spaniards. Landmark: The entrance is near Rosario-Indang welcome arc. Inside can be found the secret escape route of Emilio Aguinaldo. This site is where the Supremo's brother, Ciriaco Bonifacio was killed together with his troops, while Supremo himself also got shot and stabbed on the neck. The place where Bonifacio first underwent trial and was imprisoned in the bartolina while wounded, inside Casa Hacienda de Naic beside the Naic Shrine. The old heritage house was turned to a museum, housing relics from the Katipunan and art related to Andres Bonifacio. It was on May 10, 1897 when the brothers Andres and Procorpio were executed by Col. Lazaro Makapagal and his troops. It would be good to revisit this historic sites in the Philippines especially in time with Bonifacio's 150th year. its been a while since ive been visiting places like these.. i think its a wonderful way for the next generations to learn more about our history and country. great that they were able to preserve this. It was an exciting travel because you will appreciate the history of our country as well with the fact that you follow the life of The Supremo of Katipunan by visiting the historical sites =) Great post Miss Joy. 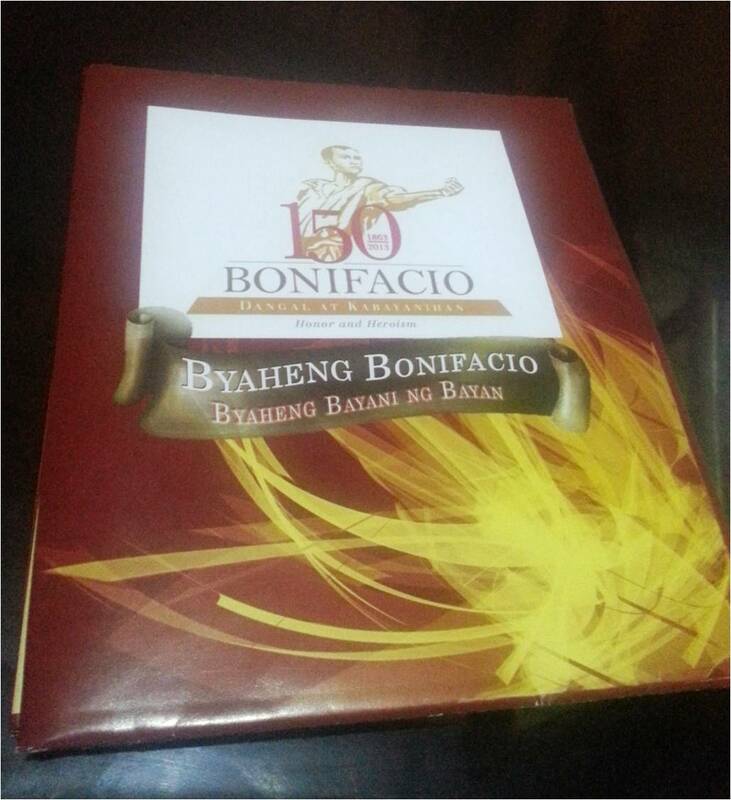 I also got the Biyaheng Bonifacio passport and I only need four sites.